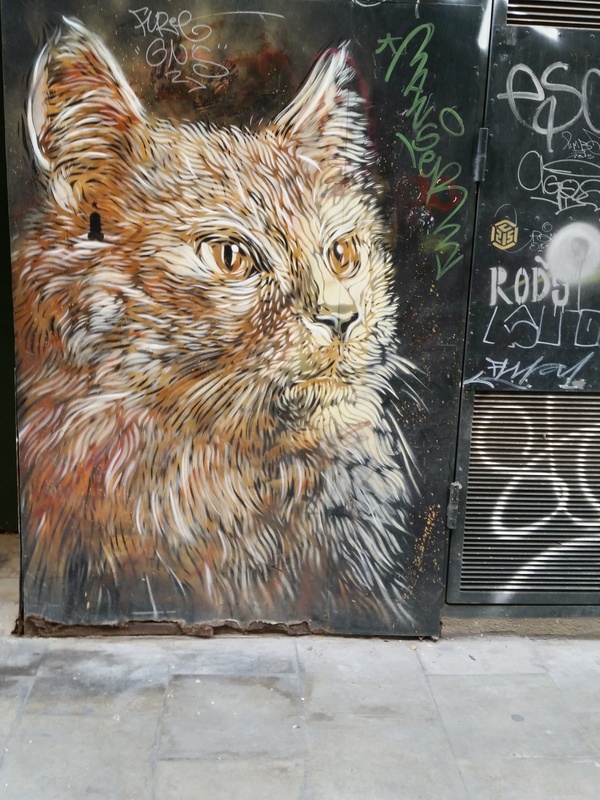 On my way back from checking out a work in progress at the Tres Xemeneies near Paral·lel, I stumbled upon this cat by stencil artist C215 in, as the title would suggest, a small alley. Unfortunately, while I have an internal street map pretty much engraved on the inside of my skull, I neglected to label them. But then again, the hunt is half the fun.